Bars and restaurants across Greater Manchester have taken part in a campaign to stop the use of single-use plastics. 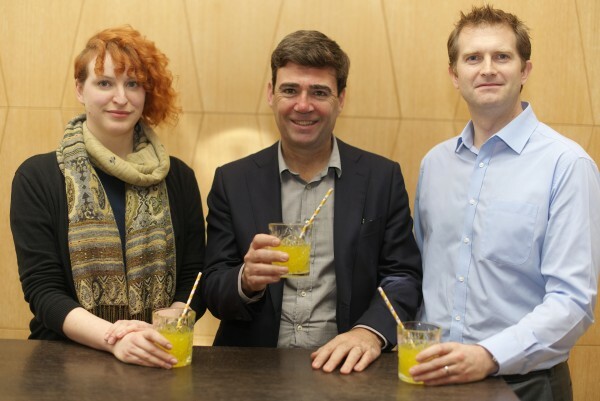 Bee-themed paper straws will be distributed throughout Greater Manchester as part of the Mayor, Andy Burnham's, goal of a plastic-free Greater Manchester by 2020. The straws will replace plastic ones and will be made entirely from paper and are printed with the now iconic Manchester bee design. This will support the wider Green City Region portfolio led by Councillor Alex Ganotis. They help businesses and the public sector become more energy efficient in response to climate change and with the aim to improve the quality of life, with the hope to make Greater Manchester carbon neutral by at latest 2040. There are 130 businesses within the hospitality and catering industry that have now signed up to the Plastic Free Greater Manchester Pledge aiming to eliminate avoidable single-use plastics. The straws are part of a larger campaign by Corin Bell, director of Real Junk Food Manchester. The social enterprise provides plastic and waste audits for businesses alongside the straws and point of sale information. Ford Madox Brown spoke to the Northern Quota, who said: “As a Manchester-based business, we are absolutely honoured to be able to assist the GMCA (Greater Manchester Combined Authority) in their plans to make this fantastic city a place for everyone.